Beauty Medical has provided for several years permanent make up training courses, in collaboration with professionals of the field, focusing on the candidate’s knowledge and experience and always ensuring the highest level of quality. The courses of permanent makeup has a duration of four days (4) and it is held in groups during the first two days (theoretical modules and practice on synthetic skin) and individually for the following two days (each candidate will be followed individually by the teacher during the exam on models). 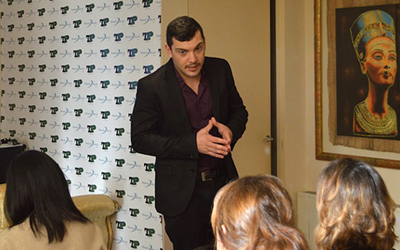 The aim of the course is to prepare the student to carry out independently treatments on eyebrows, eyes and lips. Advanced permanent makeup training courses are dedicated to all practitioners who want to offer their customers a comprehensive service and who already perform permanent makeup with basic techniques at least. This course will allow you to acquire theoretical and practical knowledge and experience in order to achieve special make-up effects. The topics of this course are, among others: shadows, shadow effect, smokey effect, lips repulping effect, effects for the correction and harmonization of morphological male features, etc. The advanced permanent make-up courses are held exclusively on an individual basis and they last one full day. The corrective permanent makeup courses are extremely important for all micropigmentation practitioners since they allow you to learn how to perform camouflage techniques and how to correct badly performed treatments. The course explains the basics of camouflage and the techniques to correct a wrong shape obtaining a natural color again, and to correct a mistake by helping the skin rigenerate thus expelling the pigment. WHY CHOOSING BEAUTY MEDICAL FOR MY MICROPIGMENTATION TRAINING AND EDUCATION? 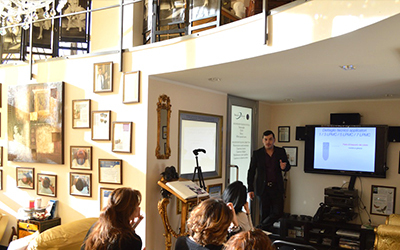 Our Milan-based facility, in Via Pompeo Mariani 4, is specialized in the training of practitioners in the field of Micropigmentation and of doctors in the field of Tricopigmentation, an evolution of paramedical micropigmentation and permanent makeup applied to hair loss which now offers high quality standards and results. Upon request, Beauty Medical provides permanent make-up courses to support the candidate with all the most important tools. The aim is to accompany him during the start-up of his professional career. Our great media exposure and our constant presence at the best international medicine and surgery workshops show that we will always want to provide high quality services to our customers and patients. Your training does not end with your experience in Milan. We will always keep in touch in order to help you choose colors, inform you about new techniques and supply you with Golden Eye products if you need them.